According to the experts at the Care 2 Make A Difference website, lemon juice rejuvenates skin by ridding the body of dead skin cells, which can help to reduce wrinkles and lines. It also helps to clear up blemishes and age spots by bleaching the areas. The website recommend using fresh lemon juice as opposed to the bottled variety. Bottled lemon juice contains chemicals that can be more damaging to your skin than beneficial. Use the lemon juice treatment sparingly, as it can dry out skin, which can cause you to have more oil-prone skin and even breakouts. Rid your face of dead skin cells by making a lemon juice mixture and applying it daily. 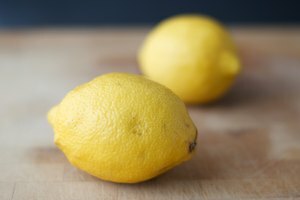 The acid in the lemon juice will help to tighten up your skin, which can help eliminate the wrinkles that are caused by age. Cut one lemon in half and rub 1/2 tsp. of sugar onto a half of the lemon. Rub this over your skin, especially in the areas where you are battling wrinkles. Do this for two to three minutes daily. Use a moisturizer afterward. Use lemon juice as an astringent to clear away clogged pores. Clogged pores can cause breakouts and blemishes on your face. 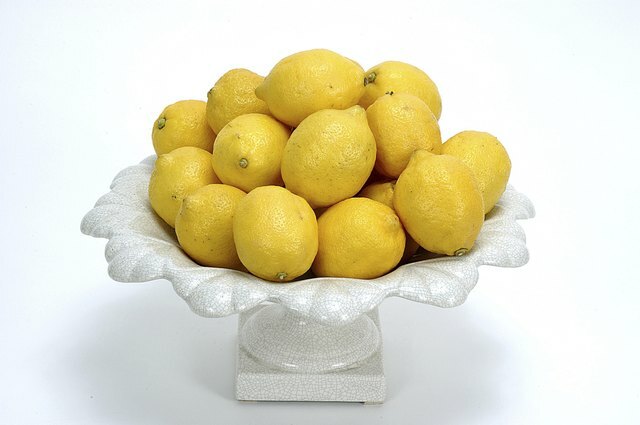 Squeeze fresh lemon juice into a container such as a bowl. 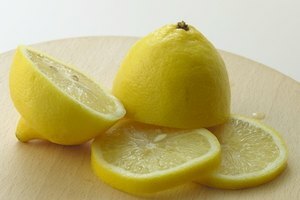 Use a cotton ball and rub the lemon juice all over your face. Let it sit for several minutes and then rinse with warm water. Pay dry and apply a nonoily moisturizer. The lemon juice astringent will tighten up your skin by shrinking the pores and it will eliminate toxins. Lemon juice contains citric acid, which is known to combat bacteria. The citric acid removes dead skin cells from the face and combats bacteria at the same time. By reducing the amount of dead skin cells and bacteria, it also helps new cells to grow. These new cells replace the old, damaged cells and help to clear up blemishes and wrinkles. 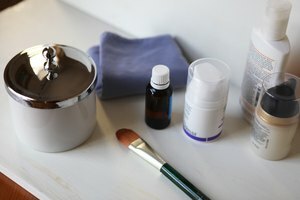 Because new cells are formed, the skin looks younger and brighter. The citric acid in the lemon juice can cause dryness for people with sensitive skin. If you have sensitive skin, use the treatment no more than two to three times per week instead of daily. Always be sure to apply a moisturizer to increase the health of your skin. If your skin is very sensitive, only apply the lemon juice to the areas that contain wrinkles or that are prone to wrinkles.